Use the solar water heaters problems and troubleshooting guide to fix the issues related to solar panels and collectors, solar tanks and pumps, including leaking, low hot water temperature, no hot water, low flow and other. In order to prevent issues with solar water heating, the recommendation is to perform regular and preventive maintenance. The maintenance will include inspection of the pipes, fittings and solar panels for potential leaks, degraded areas such as the pipe insulation, corrosion on the tank and exposed surfaces, flushing and draining the solar storage tank. In a case of the pipe insulation that was degraded due to high temperatures, it must be replaced with the type that can withstand such temperatures and UV rays. To diagnose the problem and perform the necessary repair, it is mandatory to have some understanding of the type of the solar water heater system and its components, how it works, plumbing and electrical system. The more you know, better. Otherwise, contact the professional to do the work. Before making the service call, check out this site, and once you fill out the form, they will provide you with three free estimates, so you know what are you dealing with. Solar water heaters problems and troubleshooting guide is based on our research using the online and offline tools and covers basic problems and easy to follow steps for the successful repair. 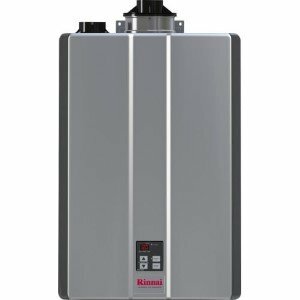 According to some studies most frequent problems on the solar water heaters are related to the element failure, such as controllers, sensors, and pumps, and less with the installation, improper or no maintenance. This doesn't mean that solar panels, as the most important parts, don't fail. It does. Broken panel glass, freezing, loose connections, and deterioration are some of the issues. In a case of the defective controller or sensor, most technicians won't even try to repair it; they will just replace it with the new element. Note: Some solar water heater problems are easy to identify and correct, while others require more work and knowledge, to check out many components and factors, the design of the system, even the user lifestyle. Tip: The simplest way to find out is the system working or not is to turn the backup heat OFF and then check out the solar part. If you find the water is leaking from the roof (and it is not raining) the most common cause is the leaking temperature and pressure relief valve on the solar heating system. Do not try to repair the T&P valve; replace it with the brand new valve which will have the same characteristics as the faulty one. Or replace the seal. The solar panel might be leaking if the piping bursts due to freezing or the excessive pressure within the system. Before you do any repairs or call the technician, isolate the solar panel by turning it off. Check out the piping fittings, it might leak at the connections and during the thermal expansion. Tighten the loose connections. Valves can also be the cause of the fluid leaking when the seat deteriorates or if the valve gland nut is loose. Replace the seat washer, tighten the nut or simply replace the whole valve. Freeze protection valve, for example, needs calibration or seal replacement. Note: For any glycol or water leak, or glycol loop pressure drop, the recommendation is to call your installation contractor to diagnose the problem and recharge the system. Before you do any repairs, always check the electrical connection, solar controller and are the sensors correctly wired and free from the rust and deposits. This is why the exposed areas should be protected, i.e., wire nuts should be sealed with the silicon. Check also for the shorts and breaks in the sensor wires or circulating pump. Note: the pump should run most of the time during sunny days, but not during cloudy days. If you find that the circulating pump on your solar water heating systems is running all the time, or it won't run at all, you might have the problem with the faulty solar controller or the pump is not plugged into it. The controller might be damaged due to voltage surges, short circuit, lighting or corrosion. If the solar controller is ON, but the pump won't run, you should check if the pump's impeller is blocked (seized). If there is debris blocking the pump, clean it. If the circulating pump runs periodically during the night, you might have water running due to the temperature difference inside the system and leaking lower valve. This is called thermosiphoning, and one of the solutions might be to replace the check valve. 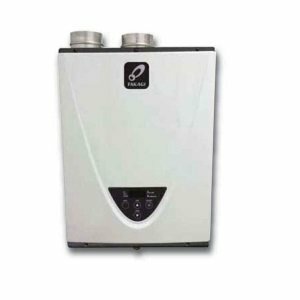 If there is no hot water when the circulating pump is running, the solar heating system has the air trapped in the pump collector. Usually, the automatic air discharge valve located on the collector should allow the air to escape. If the air discharge valve is working properly, purge the system by opening the pressure relief valve with your fingers. If you find that the solar water heating system is noisy, it might be that the pump bearings need lubrication. Bearing failure. One of the most common problems is bearing failure, which often occurs if the pump is not adequately installed. Also, the air can be trapped in the housing affecting the water circulation. The pump doesn't operate because the impeller is locked up or motor winding damaged (burned-out motor), requiring pump replacement. Check for the solar panel orientation to reduce the shading from trees, orient it properly to face south and provide the recommended tilt. Is the panel size sufficient? Clean the dirty glazing. Is hot water usage excessive? The leaking or stuck check valve are the cause of solar water heater problems such as not enough hot water. Also, if the solar storage tank has the backup heating element, its thermostat might be set too low, or the element is gone. To avoid solar panels freeze during the winter time, always provide a slope on the collector, so the output end is higher. The proper drainage should solve the problem. Did you check for the low system pressure or flow blockage? Check the pressure gauge or flush the system if the flow is blocked. If the hot water is not hot enough, your solar water heating system is losing heat. Provide the proper insulation to the storage tank, include the insulation blanket if needed, insulate the pipes, seal the pipe, tank and all the joints. If there is not enough hot water in the morning, check are the sensor wires reversed. Connect them properly if they are. Also, check the faulty sensors and controllers, loose connections and shorted sensors. Always use the system schematic, check the wiring, clean and seal exposed areas. Replace the corroded piping, flush mineral deposits to the remove blockage, add insulation if needed, make sure the isolation valves are open. Check out the auxiliary heater or mixing valve, it might be broken. If it is an electric heater check if there is power to the heating element or replace the heating element or thermostat if defective. If it is a gas heater, use this troubleshooting guide for help. Broken glass is the major problem of the solar panels. There are two solutions here; one is to replace just a glass, and the other is to replace the whole solar panel. In both cases the cost is high. If replacing the glass, make sure to order the strong tempered glass with the right size for proper fit. If the absorber paint/coating deteriorates you might want to repaint it, but keep in mind to use the paint which has excellent properties, resistant to heat and UV exposure, for example, and that is applicable for such use. If there is condensation on the glass of the solar panel after some time water will eventually accumulate at the bottom of the solar panel, therefore affecting the efficiency and performance. The solution to this problem is to provide a small weep hole at the bottom of the collector. If the panel glass is hot to the touch, that means that heat loss of the absorber is high, and the efficiency of the solar panel is reduced. The cause of this problem might be in the water passage obstructions due to scale buildup, improper pump operation or undersized pump, also connection disruption. Knocking noise in the storage water tank is the problem when the solar high limit control is set low, and while the sun is still shining outside, the pump turns OFF. Water in the panel pipes is boiling sending steam into the water tank. The solution for the problem includes adding a water tank or installing the tempering valve to limit the water temperature or setting the high limit control higher and installing a controller that will force the pump running longer and cool the tank down. The freeze damage can occur to any solar water panel no matter is the system drained or not drained, and if the operating fluid has a low freezing point (water for example). Freezing might happen even if the collector is drained, as there might be some trapped water in the system; if the freeze protection system doesn't work; the sensor is frozen and no freeze protection valve installed. Even if the isolation valve was installed and closed, due to mineral deposits or element failure, the valve could leak allowing water to find its way to the collectors, resulting in the frozen collector and pipe rupture. Solar water heaters are built to last 20, 30 or more years with the proper maintenance and service. If the solar panels were installed and sitting on the roof for a long time, and due to normal wear and tear, some elements might need a closer look, replacement, and upgrades. Troubleshooting solar water heaters problems can be hard, complicate and expensive for you. 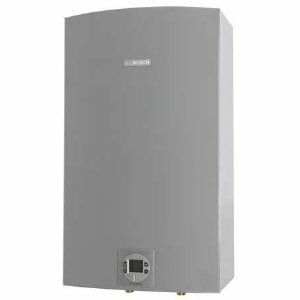 If you are not able to find the answer for your solar water heaters problems, and if you need an estimate for the installation or troubleshooting, fill out the request here and get three frees quotes from the local contractors.